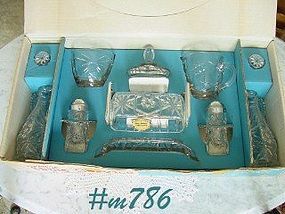 MINT CONDITION SNACK SET BY ANCHOR HOCKING! 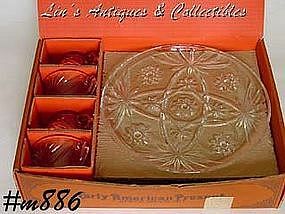 THIS SET IS THE EARLY AMERICAN PRESCUT PATTERN AND IS IN THE ORIGINAL BOX. THERE ARE 4 CUPS AND 4 SNACK PLATES -- PLATES HAVE LITTLE INDENTED PLACE FOR CUPS. CUPS ARE 6 OZ SIZE, PLATES ARE 10" DIAMETER. SUPER! 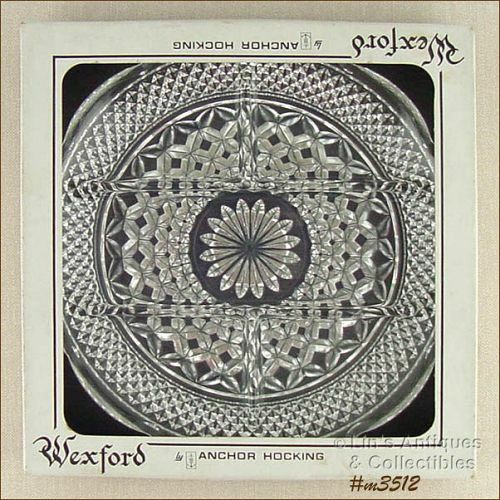 This listing is for a Wexford divided serving tray (there are 2 available)! Made by Anchor Hocking, plates measure 10 5/8” diameter, and are in their original boxes. Plates are in excellent condition, boxes are in super condition but the cellophane has come unglued. One has been sold -- thank you! Only one remains for sale. 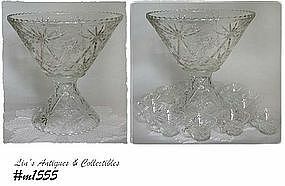 What a find -- an excellent condition Anchor Hocking 4 piece ice bucket set in the pretty Wexford pattern! 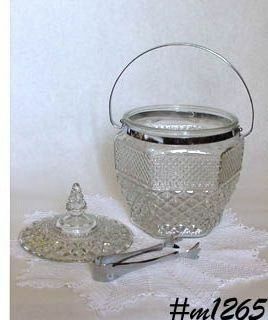 Original box lists it as a 4 piece set -- it is a covered ice bucket with metal handle and ice tongs. Set is in original box (box lid is missing) and box states this set is from the "Bremen Gift Collection". 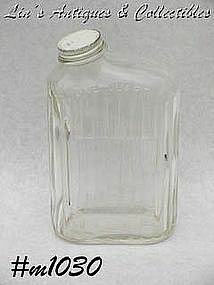 Super addition to a vintage glassware or Wexford collection! What a cutie – an angel bell and her feet serve as the bell’s clapper! 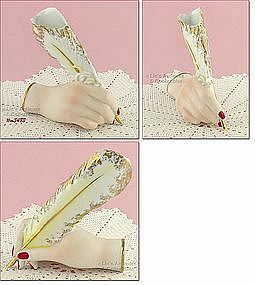 Measures 4 ½” and is in excellent condition. 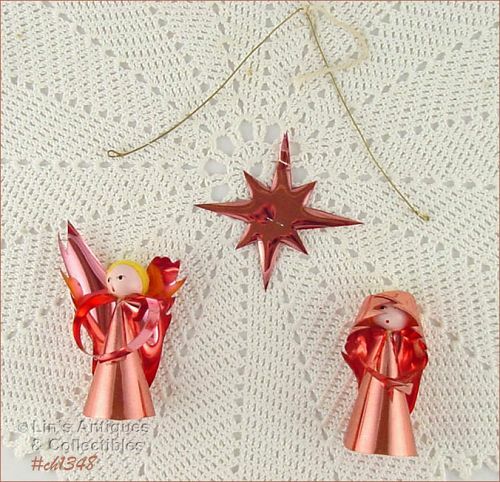 Neat item to hang on a tree, from a hanging lamp, or from a doorway – an angel mobile! 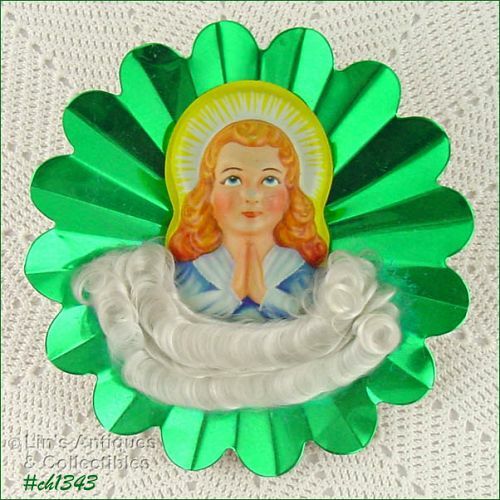 There are two cute little angels with wooden bead heads, aluminum bodies and wings. Cute! 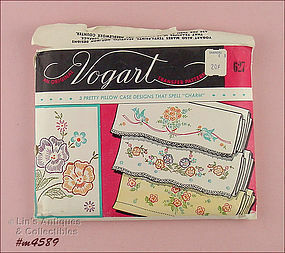 Isn’t this a lovely tablecloth? 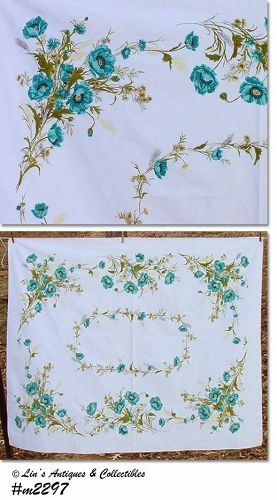 The colors and pattern are so pretty – a white tablecloth with aqua/teal color poppies in bouquets with wild flowers. It measures 64” x 51” and is in excellent condition. Freshly laundered, lightly starched and ironed (by me) and from a smoke free environment. 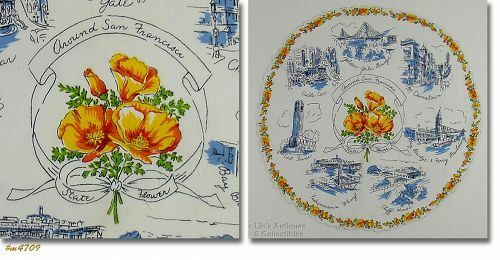 This listing has an excellent condition souvenir handkerchief for San Francisco – it shows historic and tourist sites! Handkerchief is unusual in that it is round in shape and measures 13 ¾” diameter. This listing has C-6 size bulbs in original packages! There are only 6 packages remaining for sale and they are priced per package. These are vintage bulbs. Some have color rubs but most are perfect. I have not tested any of these bulbs or any of the other C-6 bulb listings but I will check them prior to shipping to you and replace any if found to be non-working. 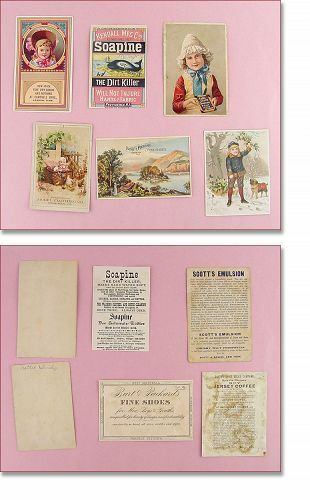 Some of the items still have the shop price tags on them and some do not – the tags you see in photos are the tags from the shop. 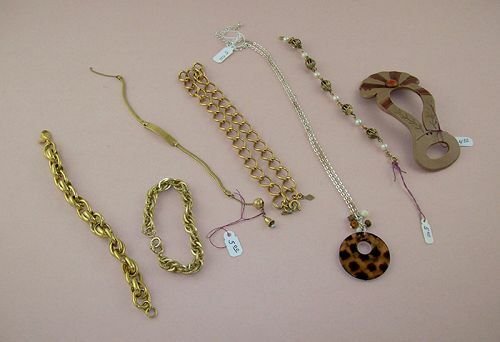 A 15” gold-tone choker style chain by Sarah Coventry. Second one: Kendall Mfg. Cos., Soapine, The Dirt Killer, Providence, R.I. 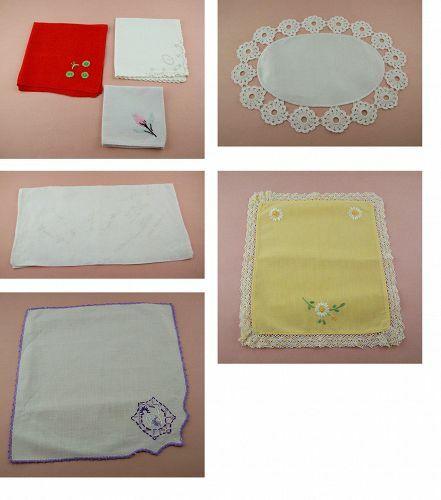 There are 3 vintage napkins – one has an appliquéd pink flower, one has an eyelet design, one is red with green applied crochet flowers. There is an oval shaped doily that has a linen center and is surrounded with lovely white crochet rounds. It measures 17” x 12 ½”.